What this flight attendant mom wants for Christmas. For the past 16 years I have used this pillow. It functions as a lumbar pillow if I’m flying as a passenger and a regular pillow when I’m staying in hotels. I have the full size TempurPedic Pillow at home, but I actually like this small one better and I use it both at home and while traveling. There’s nothing like the comfort of your pillow from home to help you sleep well in an unfamiliar environment. This pillow comes with a case and can easily roll up to fit in the cylindrical case. It also compresses easily, yet maintains support, so it fits into even a full suitcase fairly easily when left flat. I actually bring a locking D-ring and use it to clip the pillow (in it’s case) to the outside of my carry on bag when I fly as a passenger. That way I have it on the plane for lumbar support but I’m not taking up precious space in my carry on. I need a new one now because after 4 years of nightly use, mine has flattened a bit. So I can tell you that it lasts a long time. 1400+ nights sleeping on a pillow is really good longevity! I love this eye mask because it gives complete blackout. There is a little cushion under your eyes in this mask. This seals out any light and also pulls the mask away from your eyes, so you can actually open your eyes under the mask and it’s not pressing on them. I’ve become so comfortable using this eye mask that I actually find it harder to sleep without it. It’s part of my comfort routine. That is why, after having this for 8 years, I am needing a new one. If you are using an eye mask only when you travel, this could probably last a good 10 years. This little battery charger is great! I bought this last year for my husband so he could have a portable charger for his tablet. I have kind of stolen it for myself to take on work trips. I need one for myself so he can have it back. I have several other small external batteries, but if you have an iPhone, you know the battery really drains fast! Most of my portable chargers just give my iPhone a little more time, but don’t actually recharge it. The Jackery Giant Portable Battery Charger not only keeps my phone running, it will bring the battery levels up even while using the phone. Recently I was spending time in Vegas with my sisters, and this little charger recharged the batteries of 5 iPhones and Galaxies, and still had juice for charging more. Although it’s quite heavy, at 2 lbs., it is worth having on hand when traveling, even if only for emergencies. *Travel Tip: For safety, don’t pack battery packs in your checked luggage. If you travel with this, bring it in your carry on bag. Flying really dries out your skin. Working in the galley, frequent hand washing, and drying soap on the plane all contribute to this. In the winter my hands actually crack and bleed if I am not using a rich lotion regularly. I haven’t actually tried this particular hand cream, but it is on my list because of it’s richness and natural minerals. The TSA-friendly travel size of 3.17 oz. is great, so you can bring it on the airplane and reapply as needed. Essential Oil Diffuser (Travel Size)- $98.99, currently only $26.99!!! Use of essential oils have gained popularity in recent years. I confess I was very hesitant to try them, simply because it was popular! Well, I’ve finally tried them out and have found them very useful. Just last week, my daughter Ella (age 7) was having a really tough time falling asleep. She tried for two hours and still couldn’t sleep. I finally put some calming oils in a diffuser in her room, and she was asleep in just five minutes! I haven’t tried this particular diffuser yet, but it gets great reviews and at 4×5.4×4 inches and less than one pound, it’s definitely the right size for travel. In my dream world, Santa brings me a MacBook Pro for Christmas…In my dreams. I suppose I should start entering contests to try to win one. You may laugh, but this banana saver is a really great product! I have it already, but lost it somewhere in our move last year. I love bananas, but of course traveling with them makes them absolutely gross, bruised and squishy at best, ruptured and sliming your bag at worst. This little plastic case completely protects the banana. I have even put them in my checked bag and the banana arrived as fresh and unbruised as when I packed it. Needless to say, this is also a great product when flying with kids. Self-explanatory. Sleeping in hotels can be challenging. Noisy neighbors, loud talkers in the hall, ice machines, elevators, airplanes, car alarms…..Ear plugs can save the night and give you restful sleep. That’s so important for a flight attendant. Another thing I always travel with is a sound machine. I have a fairly new one, so this doesn’t make my wish list, but if you want a good night’s sleep when traveling, add this to your packing list. 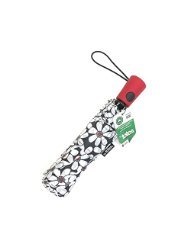 Just because it’s always good to have an umbrella with you, and this is small, lightweight, and pretty. Hotels never seem to have enough outlets, and the ones they have are hidden behind beds and nightstands. I would love to have a longer charging cord to plug my phone in overnight. I really feel like I stay healthier when I take Airborne regularly. Also it helps a lot to ward off dehydration. Grapefruit flavor might sound weird, but this is my favorite flavor of Airborne. It is very mild and less acidic than the orange version. I haven’t been able to find Grapefruit flavor in stores lately, so I was happy to discover that it’s still available on Amazon. Great price in the Subscribe & Save option, too: currently just $0.49 per tablet when you select Subscribe & Save! 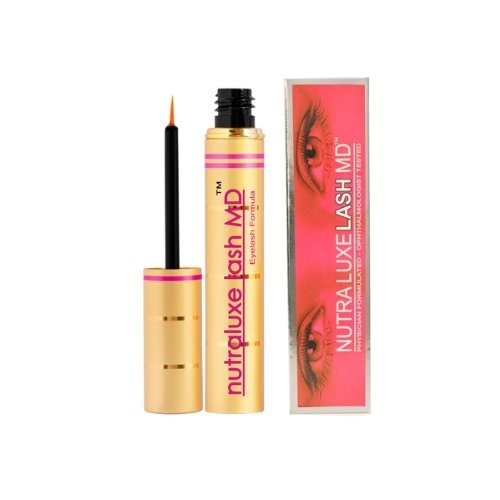 It has nothing to do with travel, but I have really short eyelashes, and this stuff works! I’ve tried it before with success but I stopped when I ran out, so my lashes are back to short and straight. Haha. Someone buy me this, okay? What do you think of my list? Do you use any of these items when you travel? Comment below with your favorite travel items. Don’t forget to follow Cloud Surfing Kids on Facebook, Twitter, or Instagram! I share most of my travel tips on Facebook and Twitter, and most of my pictures from the sky on Instagram. *Listed prices are subject to change, both higher and lower. Amazon frequently runs sales and they change often.